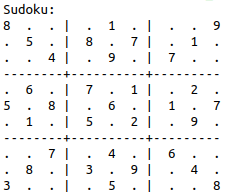 This is Part 2 of Sudoku Solver. Make sure you got a glimpse of Part 1. So moving ahead, till now we have preprocessed an image i.e., take an image and perform a crop and warp perspective transform. 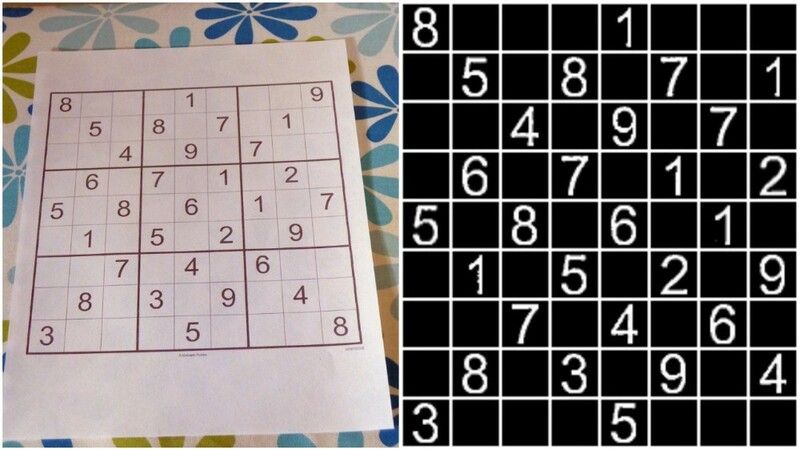 Now we need to extract the numbers and solve the sudoku. So, our next task is to extract each number from the image, identify the number and save it into a 2D matrix. 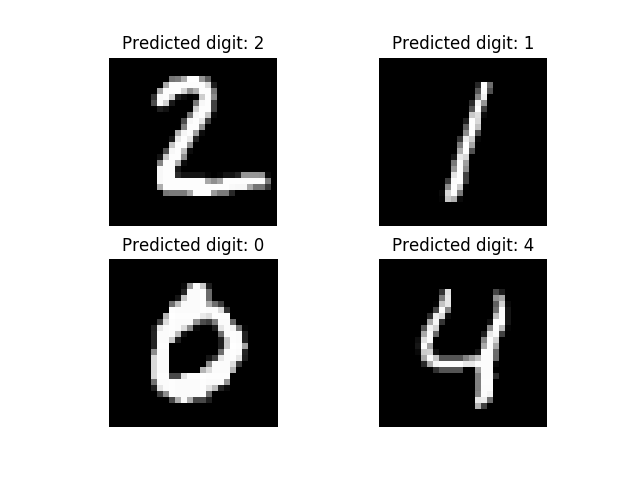 For digit recognition, we will be training neural network over MNIST dataset containing 60,000 images of digits from 0 to 9. We will start by importing all the libraries. We will fix random seed for reproducibility. Now, let’s reshape the images to be samples*pixels*width*height and normalize inputs from 0–255 to 0–1. After this, we will one hot encode the outputs. Next, we will create a model to predict the handwritten digit. After creating the model, let’s compile it and fit over the dataset and evaluate it. Now, we will test the above model created. The accuracy of the neural network was 98.314%. 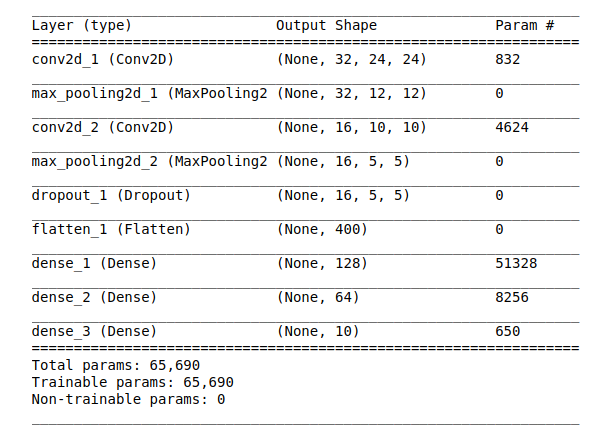 At last, we will save the sequential model so that we don’t have to train it over and over whenever we want to use it. Our next step will be to load the pre-trained model and weights. Then we will resize the image and split the image into 9×9 small images. Each small image will be of a digit from 1- 9.
identify_number function takes an image of digit and predicts the digit in the image. We will use Backtracking Algorithm to compute the solution of the sudoku. Search the grid to find an entry that is still unassigned. If found, the reference parameters row, col will be set the location that is unassigned, and true is returned. If no unassigned entries remain, false is returned. ‘l’ is a list variable that has been passed from the solve_sudoku function to keep track of incrementation of rows and columns. Returns a boolean which indicates whether any assigned entry in the specified row matches the given number. Returns a boolean which indicates whether any assigned entry in the specified column matches the given number. Returns a boolean which indicates whether any assigned entry within the specified 3×3 box matches the given number. Checks whether it will be legal to assign num to the given (row, col). Returns a boolean which indicates whether it will be legal to assign num to the given (row, col) location. 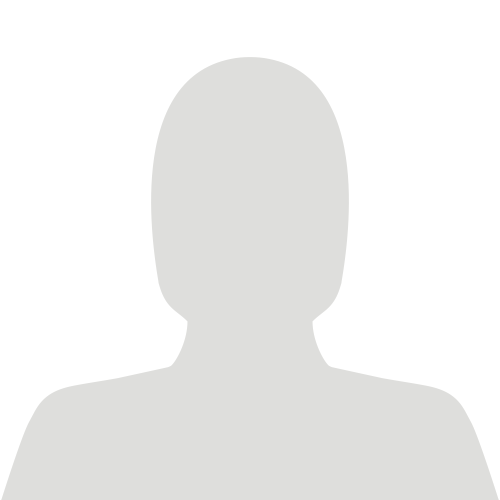 Check if ‘num’ is not already placed in the current row, current column and current 3×3 box. 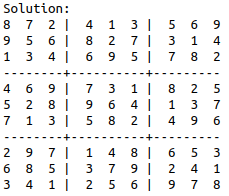 Takes a partially filled-in grid and attempts to assign values to all unassigned locations in such a way to meet the requirements for Sudoku solution (non-duplication across rows, columns, and boxes). ‘l’ is a list variable that keeps the record of row and col in find_empty_location function. Assigning list values to row and col that we got from the above function. The last thing is to print the grid. Now, let’s stitch all the functions in the main function. The output of this function will be our solved sudoku. So we have finally managed to solve a Sudoku grid from the image alone. If you’ve hung in this long… thanks! I hope there’s been something valuable for you. The solver is by no means foolproof; it still has trouble with some images and either will fail to parse them or parse them incorrectly leading to failure to solve them (because it may have parsed as an invalid puzzle). The goal, of course, was to ramp up on some new technologies and the project has been valuable from that perspective. The source code is available on Github https://github.com/aakashjhawar/SolveSudoku. Drop me a note if you find it useful or have any follow-up questions. Thanks!